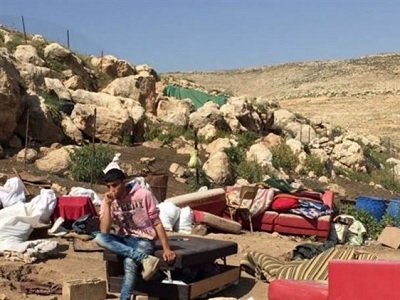 Israeli Minister of Education Naftali Bennett and the Head of the Jewish Home Party has announced a plan to annex the Israeli settlement on Ma’ale Adumim, built illegally on Palestinian lands in the West Bank, to Israel. Bennett plans to apply Israeli law to Israeli settlements in the West Bank, which practically means annexing them to Israel. 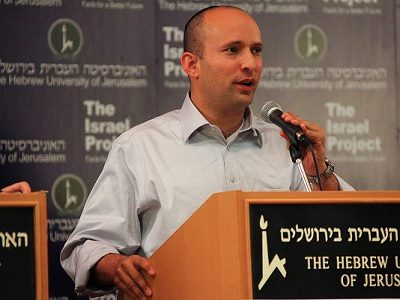 Bennett noted during an interview with the Israeli Hebrew Radio that he supports granting Palestinians in the West Bank “self- governance, and the Gaza Strip will serve as the future Palestinian state,” noting that he supports holding a referendum to decide on annexing Israeli settlements in the West Bank to Israel. He asserted that Israeli Prime Minister Benjamin Netanyahu, “Would not object the plan of annexing Ma’ale Adumim. I will decide what the government’s policy would be and everyone will fit his position into the line I will draw,” he added. The UNSC has denounced Israel’s settlement activities in the West Bank last week after the United States has abstained from using the veto. The UN Resolution stirred much anger in Israel with Netanyahu delivering a speech in response to an earlier speech by US Secretary of the State John Kerry, in which he outlined his vision for the peace in the Middle East. Netanyahu has harshly criticized Kerry’s speech in a rare occurrence between the two countries.